A transfer of equity is a transaction where legal ownership of a property changes hands but at least one of the original owners remains on the title. For example where a couple transfer it into the sole name of one or other of them or a person is added to the title. It is generally much more straightforward than a sale or purchase as usually there will be no searches or enquiries, since the parties involved will have prior knowledge of the property, so there is no need for a contract. FreeConveyancingAdvice.co.uk do a handy Transfer of Equity Kit which can help guide you through the process. The form to be used is land registry form TR1. The current owner(s) will be the transferor(s) and the new owner(s) will be the transferee(s). The first step is to obtain official copies of the title. It is necessary to check whether there are any mortgages on the property or whether there are any restrictions that will need to be complied with. If there are no mortgages then all parties simply need to sign the transfer deed and register it with the land registry. The application should be made using land registry form AP1 and should be accompanied with the transfer deed and, for any party not represented by a conveyancer, land registry form ID1. If the value of the transaction is greater than £40,000 then a stamp duty certificate in form SDLT5 (see below) will also be required. If there is a mortgage on the property then this will either need to be repaid or else the lender’s consent will need to be obtained. Read on for details. If there is a mortgage on the property which is to be repaid as part of the transaction, whether using money supplied by an incoming owner or via a remortgage, then it will need to be repaid on or before completion and a discharge document in for DS1 will need to be obtained from the lender. This will need to be submitted to the land registry with the AP1 application. A redemption statement, calculated to the day of completion, will need to be obtained prior to completion to ensure the correct amount is paid. If the mortgage is not redeemed in full the lender will not release the DS1 and the transfer will not be able to be registered. Sometimes the parties will want the existing mortgage to remain. If this is the case then the consent of the mortgage lender will need to be obtained before the transaction can proceed. Where someone is being added to the title they will need to become equally liable, along with the other joint owners, for the mortgage. They would do this via a covenant entered into the transfer deed. The lender will usually want to perform credit rating checks against the new owner. The lender can give its consent to the transfer either in a separate letter or by signing the transfer deed along with the other owners. Where there is no restriction on the title preventing a transfer from being registered without the lender’s consent and the consent is not obtained, the new owner’s rights in the property will still rank behind those of the lender. If someone is being removed from the title the lender will again need to agree. The outgoing owner must be released from his obligations under the mortgage. This is usually done via a clause in the transfer deed, which the lender will sign along with the other parties. The lender will want to check that the remaining owner is financially capable of keeping up with the mortgage payments. If a new mortgage is being obtained, it will need to include all the names of the people who will be joint owners of the property following completion. Although most lenders won’t require searches to be carried out, they will usually require that “no search indemnity insurance” is obtained. This is an insurance policy that covers them for any loss they suffer as a result of something that would have been revealed by the usual conveyancing searches had they been carried out. It will cost perhaps £50 or so (though it depends on the amount of the mortgage) and will need to be paid for by the borrowers. Some lenders have a block policy which covers all their remortgages, in which case an individual policy won’t be needed. Where a property is owned by two or more people as tenants in common and there is a transfer of equity which leaves one remaining owner, and no money is paid by the remaining owner to the outgoing owners, the form A restriction (which prevents a transfer by a sole proprietor from being registered) will need to be removed. This can be done by the remaining owner signing a “Statutory Declaration as to Equitable Title”. This is a declaration to confirm that he is solely entitled to the equity in the property. If this is not done now it can be done when the property is sold on. One reason for a person completing a transfer of equity is to prevent his creditors from being able to claim some or all of the equity in the property in the event he becomes bankrupt. The trustee in bankruptcy however has powers to set aside; that reverse transfers that were for less than the market value of the property (or the share). He can doe this in respect of any transfer that has been carried out within the last 5 years. 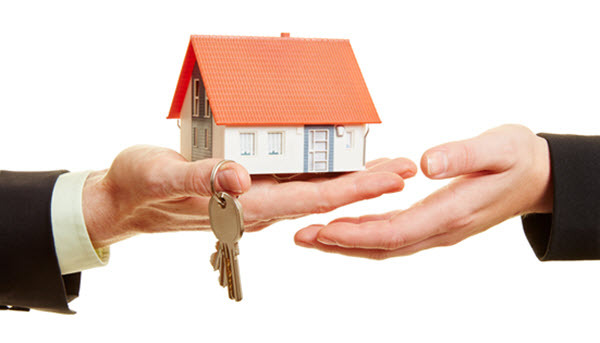 Once the transfer is set aside the trustee will be entitled to the equity in the property on behalf of the creditors. It is important, when adding someone to the title of a property, to think about exactly what interest you want that person to have, and indeed for the incoming owning to think about what interest he wants to receive. You need to think about what should happen if one of you dies, should it pass automatically to the survivor or via your will? If your relationship breaks down, how much of the equity should each party be entitled to? Who should make the mortgage payments? All of these things should be put in writing. This may seem a little unromantic at the time but could save a lot of money and legal battles, not to mention a lot of acrimony, in the future. It is possible to vary the terms of your agreement in future if your circumstances change. You should also be aware that by taking certain actions a variation might be implied even if it is not put in writing. If the value of the transaction is greater than the minimum threshold for paying stamp duty (£125,000 at the time of writing) and if no relief or exemptions apply, then stamp duty will be payable. If the value is under the threshold but greater than £40,000 then no duty will be payable be a return will still need to be submitted and a certificate in form SDLT5 will need to be obtained and included in the application for registration. The value is based on any amount paid by an incoming owner or to an outgoing owner as well as any amount outstanding on an existing mortgage or borrowed on a new mortgage. Where someone is coming off the title, the formula is as follows: ((amount paid to outgoing owner / number of remaining owners) + ((amount outstanding on mortgage / number of original owners * number of outgoing owners))) = value. For example if the transfer is from 2 to 1 and the outgoing owner receives £50,000 for his share, and there is also a mortgage under which £40,000 is owing at completion then the value will be ((50,000 / 1) + ((40,000 / 2) * 1))) = 70,000. If someone is being added to the title, the following formula should be used: (amount paid by incoming owner + (amount outstanding on mortgage / number of joint owners after completion)). As an example, if the property is transferred from 2 people to 3 and the incoming owner pays £25,000 for his share, and there is a mortgage with £30,000 owing, then the value will be (25000 + (30000 / 3)) = 35000. There are other factors which could affect stamp duty liability and you should seek the advice of a solicitor. Inheritance tax and capital gains tax are outside the scope of this article however if you think the transaction may have tax implications you should speak to an accountant or tax specialist. Do have a look at FreeConveyancingAdvice.co.uk’s Transfer of Equity Kit and the other DIY Conveyancing Guides they offer as they may help with explaining the subject further.